Unfortunately even though my Stay Puft Marshmallow Man on LEGO Ideas reached 10000 votes it did not pass review. But now using this guide you can make your own! Harald Christ has graciously spent his time collating my design into a more LEGO-Like instruction format as a PDF Download. It's highly recommended you use this guide rather than the LDD file below. If you're persistent and still want to use the LDD File or just want to check it out for curiosity's sake, follow the instructions below. 1. Download the free LEGO Digital Designer ("LDD" for short) program for Windows or Mac and follow the installation instructions. 2. 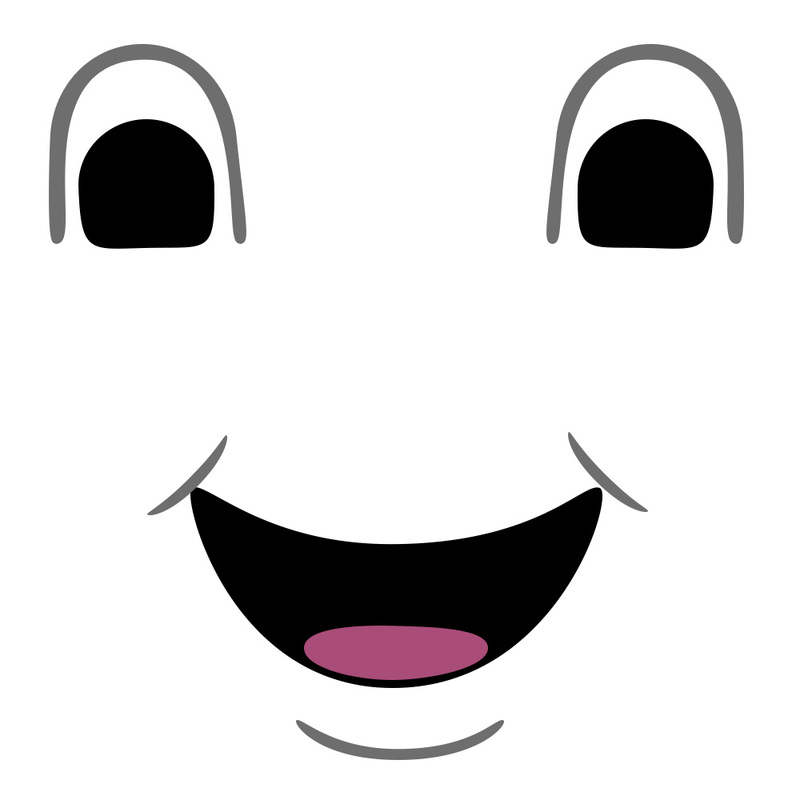 Download the Stay Puft Marshmallow Man Zip File. 3. Extract the Zip file to a convenient location on your computer. 4. As you can see some of the parts aren't assembled correctly in LDD, this is because some of the construction which is possible with real LEGO bricks is not possible within the LEGO Digital Designer program. 6. Click the arrows or drag the slider shown below to step forward and back between "instruction" steps. 7. In the Zip file you will also find am image file called "face.bmp". Print it out on sticker or decal paper to apply to the face. The image should be printed approximately 5x5cm (2x2 inches) in size. 8. 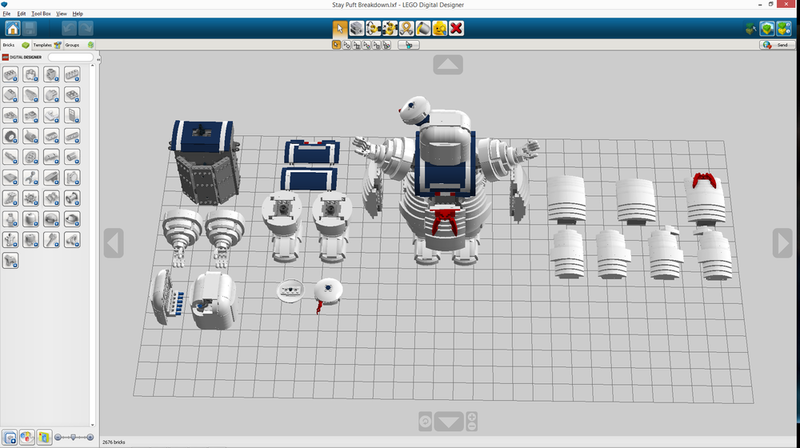 You'll also find in the Zip file "Stay Puft Breakdown.lxf" which is an exploded version of the Marshmallow Man with different pieces separated into easier to construct segments. 9. Have fun!, don't be tied to the instructions above, feel free to change and improve upon what I've created to make your own version even better! As a general guide any parts not visible from the outside can be substituted for any colour you have in your collection. NOTE: The above file and instructions are a GUIDE ONLY not a direct step by step instructions as you would find from an official product. The automatically generated instructions aren't very logically laid out as you would expect. Feel free to substitute colours or parts to suit what you have available to you. The provided files and instructions are shared as-is and no further support or help is provided. Please do not contact me asking how to use LEGO Digital Designer or how to order parts from Bricklink. Google is your friend!